Plumbing problems happen all the time. However, it can be difficult to determine whether or not a plumbing issue qualifies as an emergency. Below, you’ll find some examples of plumbing emergencies. If you encounter one of these issues, you’re going to want to try to do something about the problem as soon as you can. You should look for short-term solutions, and you should also get in touch with an emergency plumber. One of the more serious plumbing emergencies you might encounter are burst pipes. If your pipes burst, you’re going to wind up having to deal with a lot of problems. It’s likely that the pipes will leak water and other substances into your home. This can cause a great deal of damage. If your pipes have burst, you’re going to want to have a plumber come out and take a look at them right away. The plumber may replace your pipes, or they may patch them. No matter what they wind up doing, they’ll make sure the issue is resolved. If your toilet is backed up, it’s eventually going to start overflowing. This can cause water to start spilling out onto the bathroom floor. There are a number of things you can do if your toilet is overflowing. You can shut off the toilet tank, and you can use a plunger to try to get your toilet working again. However, if you need to use your toilet, you’re going to have to have a plumber diagnose and resolve the problem. You won’t be able to use your toilet while the water shut off; this is only a temporary fix for a serious problem. A lot of plumbing emergencies involve leaks. From leaking pipes to leaks coming from walls, it’s important to get to the bottom of leaks before they cause any major problems. If you’re dealing with a leak, you may want to try finding the source of the leak. From there, you can try to shut off the water valve that is leading into the leaking pipe. While this will stop the pipe from leaking, only a professional is going to be able to solve the problem. There are many different things that can cause a pipe to leak. In some cases, the issues lie with the pipe joints. If joints are corroded or frozen or damaged, they may need to be replaced. Even if you are able to turn off the water, you should try to have a plumber come out and look at the leak as soon as possible. The problem is only going to get worse if you ignore the issue. A clogged drain isn’t necessarily an emergency. In some cases, a drain clog is something that can easily be fixed. However, if a frequently-used sink has a bad clog, you may need to have professionals clear away the clog as soon as possible. Before you call in an emergency plumber, you could try using a drain snake to clear out the clog. If that doesn’t work, you can try using some sort of drain cleaner. If both options fail, however, you may want to have a professional take care of the clog for you. 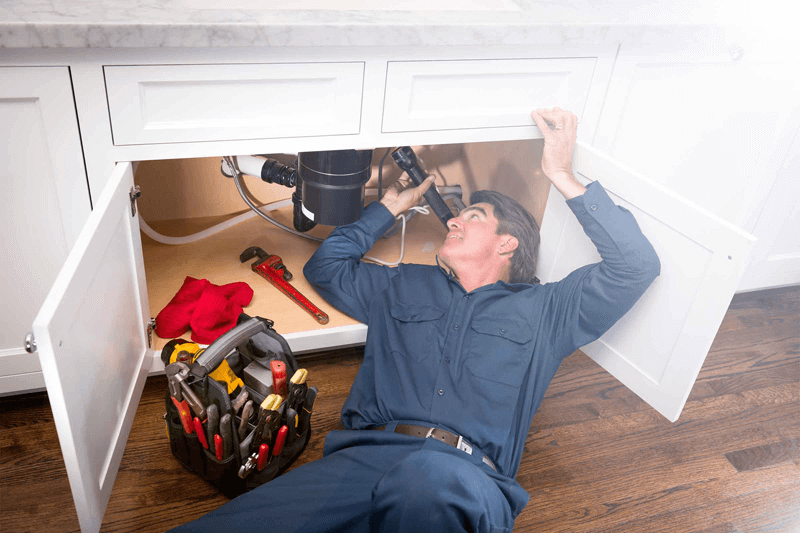 If you’re dealing with a plumbing problem that doesn’t have a simple solution, you need to get in touch with an emergency plumber. It’s important to take care of the plumbing in your home. You need to make sure that your home is free of leaks and other issues. If you run into one of the plumbing emergencies listed above, you should call an emergency plumber.